After a whole week of speculation, sadness and supposition, fans of Three Days Grace former singer, Adam Gontier now finally have an answer for his seemingly sudden departure. I want you all to know how very thankful I am for your consistent love, your respect, and you’re undying support. It is important for me to address any concerns regarding my health being connected to drugs or addiction. The truth is, when I was struggling during that dark time in my life, I hit rock bottom, and I had the kindest of people reach out from all over the world, and reach their hands out to help pick me up. I am so blessed to be walking in the light now. I am reminded of your loyalty, always. The truth is, and I’m very proud to say this…, I am sober. That chapter in my life is over. While the remaining band were attempting to rearrange and bring themselves to some kind of order, it appears to have been forgotten that many listeners of Three Days Grace do just that, listen because of the formidable, in fact incredible vocal of Gontier. While the attemp to patch it together with Matt Walst, formerely with My Darkest Days is certainly honourable, it would appear that it is not what the majority of fans want. Walst has a great vocal, but it is nowhere close in similarity to Gontier. The fans want Gontier and general concencus seems to be, that they will take a solo Gontier over a Three Days Grace with Walst. What is shameful from both parties is that the upcoming tour with ShineDown was advertised, at least until Monday 14th Jan 2012 with pictures of Gontier at the helm. When fans had contacted Ticketmaster for a refund they were told that the band is still Three Days Grace and as such, even with a change of singer, that refunds are out of the question. Maybe that is something that should be questioned more deeply. For sure no-one would want to pay for Aerosmith tickets hoping to see Steven Tyler at the helm and getting David Coverdale, nor would a Lady Gaga fan pay to see Gaga and be happy when Madonna appeared. The fact of the matter is that this situation is not a good one. Could it be considered false advertising? Food for thought! In the thick of this are Hurricane Sandy survivors, fans who paid good money to see a Gontier fronted band as a gift to themselves, an upper after the huge down that ripped so many lives apart and who are now left with tickets to see a band which in essence is no longer in existence. Susan Soutar Giacalone is one such disappointed fan. She was given tickets by a friend after the hurricaine and cannot get a refund for them. She told TiTT; “My friends and I got tickets because we want to hear Adams beautiful voice. We are all extremely upset that we will not be receiving a refund of the money we really could have used, but chose to see them (Three Days Grace, fronted by Gontier) with instead. You see we were impacted in our own ways by Hurricane Sandy’s destruction here in NYC. This was our getaway.” Susan is fortunate, Gontier is playing acoustic shows close by, she will however have to pay out more money to see him. But others are not as fortunate and will get no second chances to see their favorite singer. Together for twenty or so years, Three Days Grace have been a staple in Canadian, in fact North American music. Sad as it is that the rest of the band will be left behind to figure out the future, it seems that Gontier is as always positive and moving forward, oh and taking the fans with him! 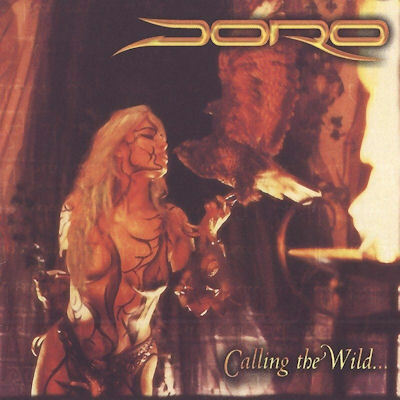 2013 will see the 30th year in the world of rock for Doro Pesch. She will headline Wacken Open Air Festival as part of her anniversary celebration. 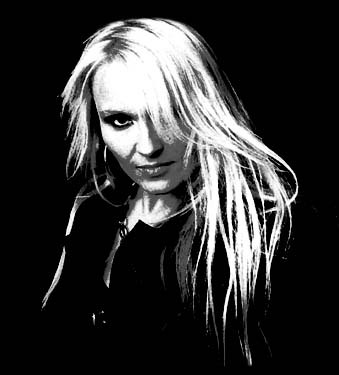 In 2008 she celebrated 25 years at Wacken close to her home town of Dusseldorf, Germany. You would never know to speak with her. Pesch still radiates the vitality and enthusiasm of a 20 year old. Growing up in Europe, there was no easy ride for Pesch. The US market was a far and distant land, but Pesch is a fighter and her band Warlock broke free and made it onto the world stage. The music was loud, free and hard, the voice of Pesch recognisable as one of rocks heaviest and most influential and coming from a woman.